This Christmas, why not give the gift of elegant backyard living? We’ve got a great lineup of backyard living products that will put a smile on your face any time of year. 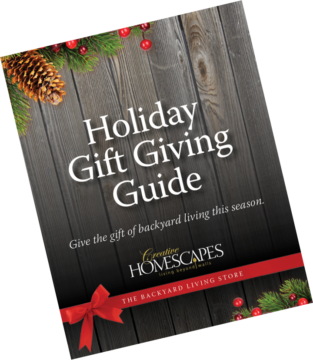 From BBQs and grills, to smokers and fire pits, to accessories and much more — drop by our showroom and see why Creative Homescapes is The Backyard Living Store. Click on the image to view the online catalogue.